Both Eubacteria and Archaebacteria are unicellular organisms without a nucleus and make sub-families of kingdom Monera. As their names suggest, Eubacteria and Archaebacteria are two different types of bacteria. The Eubacteria (True bacteria) are present almost everywhere, in soil and water as well as in or on other multi-cellular organisms, including the human body. The Archaebacteria, on the other hand, are found in extreme environmental conditions such as salt brine, hot springs and the ocean depths. 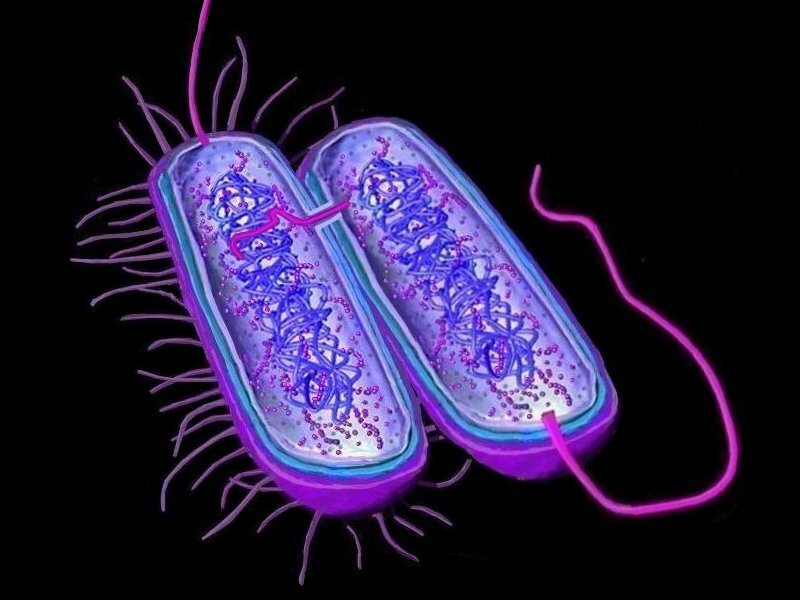 The Archaebacteria are one of the oldest prokaryotes that are believed to have evolved immediately after the evolution of life on planet earth. When generally talking about bacteria, we are usually referring to the Eubacteria. They are complex in structure and are found in normal conditions. Both Eubacteria and archaebacteria are similar in shape and size. They both occur as rods, cocci, coiled, plates and spirals etc. 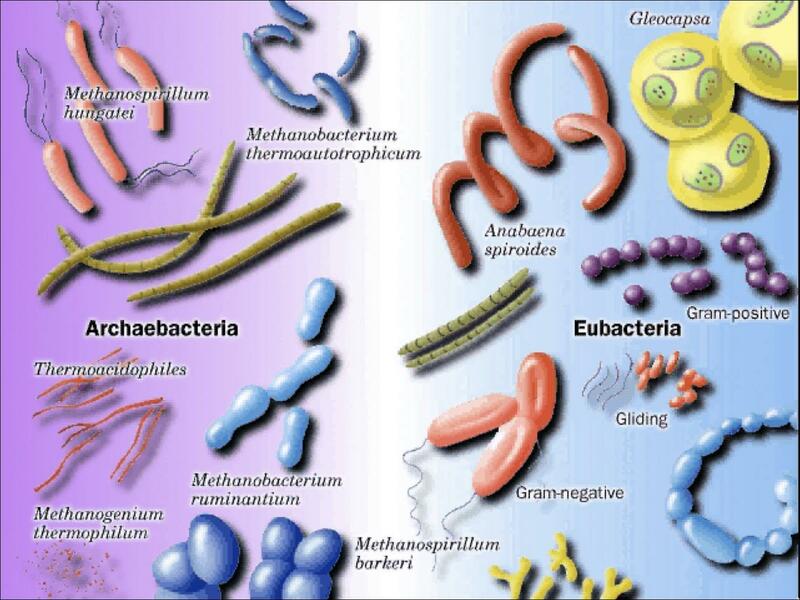 The general cell structure of both Eubacteria and Archaebacteria is the same, but they differ in their composition. They both have a cell wall and use flagella for locomotion, but Eubacteria is made up of peptidoglycan and muramic acid, while the cell wall of Archaebacteria is made up of different substances but does not contain muramic acid. Both Eubacteria and Archaebacteria reproduce asexually through binary fission, fragmentation or budding, but the former have a unique ability to form spores and remain dormant for several years. The term Eubacteria refers to the generic unicellular moneras that look and act like prokaryotes. Eubacteria are further divided into four phyla; the cyanobacteria, spirochetes, gram positive and gram negative bacteria. The cyanobacteria are photosynthetic in nature, which means they use sunlight and carbon dioxide to prepare their own food, and release oxygen as a by-product. 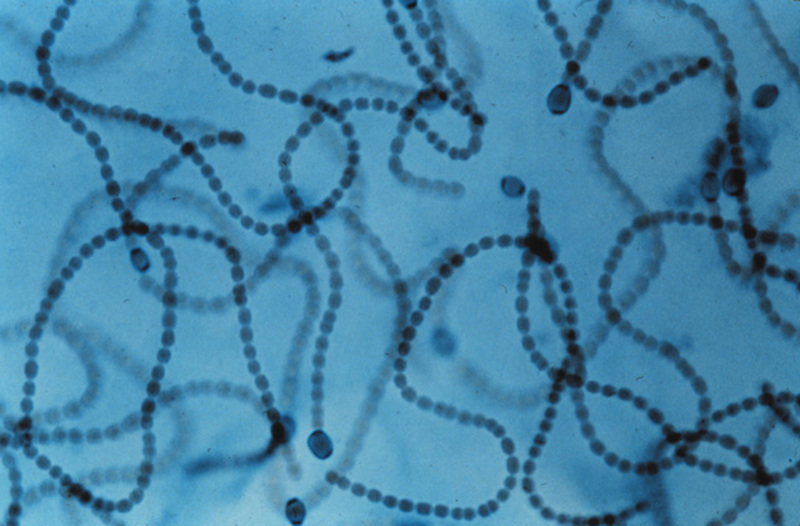 The spirochetes or gram negative bacteria are mostly parasites, depending upon other living organisms for their survival. The gram positive bacteria are mostly human friendly, like those producing yogurt. But some are not so friendly and cause various diseases to their hosts, such as a sore throat. Archaebacteria are unicellular prokaryotes that include both aerobic and anaerobic bacteria. The Archaebacteria are further divided into three types, methanogens, halophiles and thermoacidophiles. Methanogens produce energy by converting hydrogen and carbon dioxide into methane, and are hence called methanogens. Halophiles are named so because unlike other bacteria they can thrive and prosper in salty conditions. The last category, thermoacidophiles, also has a reason behind the name. This type of Archaebacteria thrive under hot and acidic conditions. They can easily survive in areas with temperatures exceeding 230 degrees Fahrenheit.